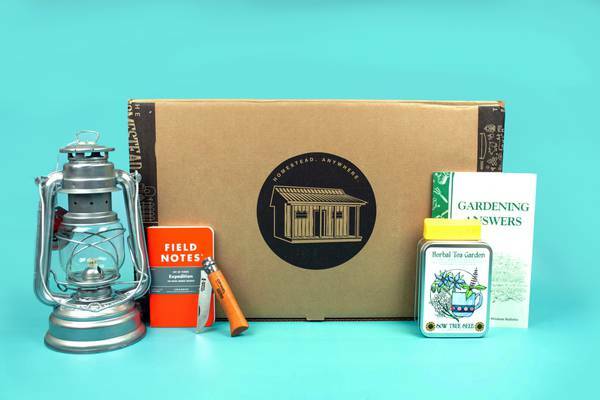 Enter your email address below to receive a notification when The Homestead Box starts accepting new sign-ups! Enter your email address below to receive a notification when The Homestead Box is accepting new sign-ups again. Your first box will ship within 1 - 2 business days after your order is placed. 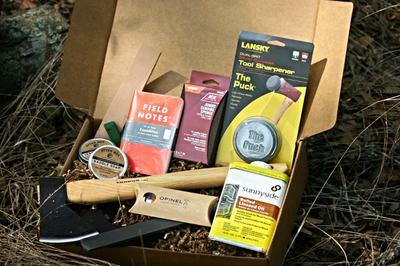 For existing subscribers, your box will ship on the 10th - 15th of every month. With this subscription, you will have access to great tools and skills that will last for generations. We source our products from local craftsmen and experts with unique skills. 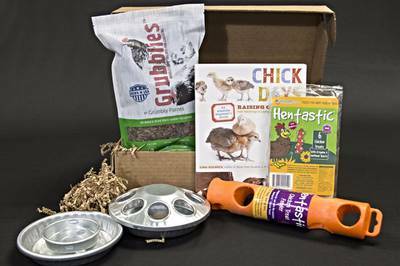 This box is filled with practical, usable and quality products that will help you to be self-sufficient. Items included will allow you to complete gardening, building, DIY projects and much, much more! 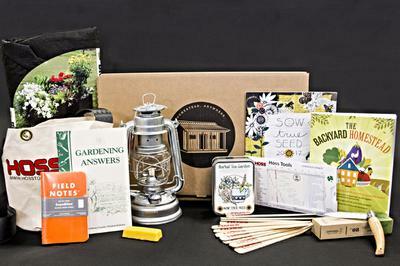 Hand-selected items include: gardening books, water hose heads, starter seeds, and more! Free shipping with the 6 months prepay option. This box BLEW me away!!!!!!! This box is AMAZING!!!! I’m actually working on doing an unboxing of this for my social media because it’s the absolute BEST box I’ve ever received. I just stumbled across this subscription box a couple of weeks ago and didn’t know what to expect. I ordered the premium level and my 3 kiddos and I just kept pulling out more and more crazy useful product one after another that we really could use on our suburban make believe country homestead. HIGH quality items that I couldn’t believe was in there. Consider this family, customers for life! I get beauty boxes, kid boxes, garden boxes, hobby boxes, jerky boxes, etc etc and your box has hands down the HIGHEST quality and biggest volume of curated items I’ve ever seen. Love your passion in putting this box together. My homestead box arrived and was such a box filled with useful goodies! The otter wax saddle soap cleaned my boots, and the leather wax was also put to good use! Have started the micro greens....my students (yes I teach), have recently begun an aquaponics project, so we will put extra seeds to good use there as well. There was not a single thing I could not immediately use! Loved it so much I upgraded from Vintage to Pioneer. Just recieved my first box this week. Loved it! This is my 4th both. I just upgraded to a bigger box I liked it so much. This time I got an AMAZING sprouter set! I am not kidding when I tell you I have a sprouter set in my Amazon Cart right now! This is so much better than the ones I was looking at and has so many options! Thank Again, You read my Mind!! Quality items.Can't wait until my next box!!! I ordered the Pioneer box. This is my second box. On my homestead we are in the beginning stages of chickens, rabbits and ducks. Seriously!! Did you read my Mind?!! Talk about perfect timing on the cage building supplies and Book! Wonderful!! The homestead box was full of items we will actually use. I loved it. I am in the process of starting up my homestead. So this is perfect for me. I LOVE the Hoss tote bag because it has a long strap and its round. Hoss is the company I just bought tools from so YAY!! The knife keeps disappearing at my house because my roommate and daughter both want it. Perfect seeds, the tin is great for other uses. Even the leather salve and saddle soap, garden stakes and marker. I need to upgrade now to the Bigger Plan!!! quality curated items. I've received 3 boxes so far and I've just upped my tier to the $50 a month box. can't wait! they send things that I find myself using everyday that I would have never purchased on my own. 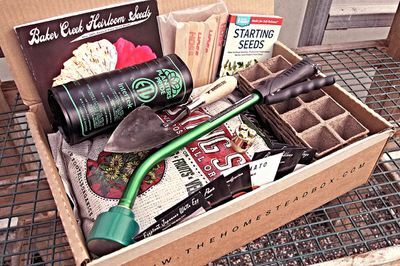 So far i've received things like a folding hand-saw, a herbal tea kit, veggie seeds, a bath bomb, saddle soap, a natural salve, homestead book, gardening books, hoss canvas gardening bag, hoss garden markers, and so much more.